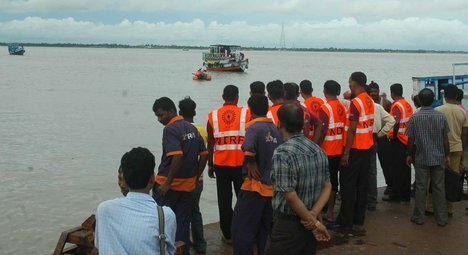 Kakdwip, Kolkata, 31 October : With the retrieval of four more bodies today, the toll in the trawler capsize tragedy near Talpatty island in the Hooghly river at the confluence of the Bay of Bengal, has risen to 22. “In addition to 18 bodies found yesterday, two more were retrieved from two different points in the river during the day. 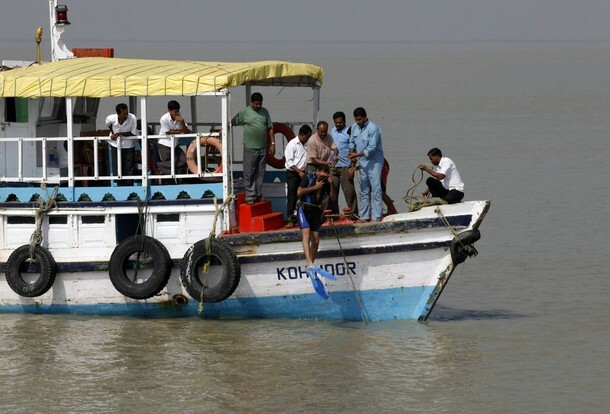 Several passengers are still missing and rescue teams are trying to locate them,” South 24-Parganas Superintendent of Police L N Meena told Bengal Newz in the morning. Of the passengers on board, 50 persons were rescued and rushed to a hospital, of whom 23 were discharged after first aid. A small aircraft of the Coast Guard was circling over the area where the trawler sank, while divers, eight each from the Kolkata Port Trust and the Navy with echo sounding machines, were trying to ascertain the exact spot where the trawler went down. Eight speedboats of the Civil Defence Department besides hovercraft of the Coast Guard were scouring the waters. 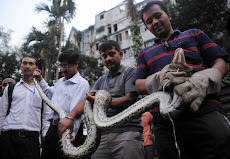 A 40-member team of the state disaster management force was also at hand. WB Sundarbans Development Minister Kanti Ganguly was also supervising the rescue operations. 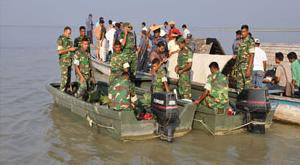 Xinhua, Dhaka, 31 October : Fire service divers Sunday morning retrieved the body of a missing pilot of the training aircraft which Saturday crashed into a mighty river in Bangladesh's Sirajganj district, 134 km northwest of capital Dhaka, local police said. Aminur Islam, Officer-in-charge of Chouhari police station in Sirajganj, told Xinhua Sunday, "the officials concerned identified the body which was recovered Sunday morning from the Jamuna river as the body of the around 26-year old missing pilot Kamrul Hasan." He said rescuers yet to locate the missing aircraft of Bangladesh Flying Club, a non-profit and academic organization in Bangladesh, that crashed into Jamuna with two pilots on board at around 11:40am local time Saturday. "There were two pilots on board and one was rescued in an unconscious situation and another is missing," Saifur Islam, Chouhari sub-district administration chief, told Xinhua Saturday. PTI, Shillong, 31 October : A huge cache of arms and explosives, believed to have been hidden by ULFA militants, was recovered from the premises of a school here, police said today. 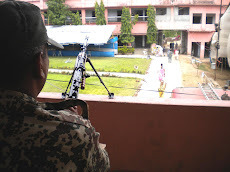 The weapons - two AK 47 rifles, three live grenades, six magazines, 125 rounds of ammunition and some explosives besides incriminating documents were found underneath the permanent stage of the Shillong Vidyalaya Higher Secondary School located at Madan Laban area of the city last night, the police said. 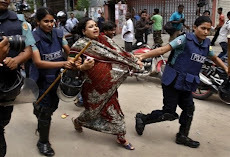 BSS, Dhaka, 31 October : After formation of industrial police, Bangladesh prime minister has said her government is also considering formation of specialised forces like campus police, marine police and tourism police. 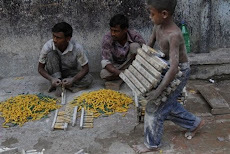 Sheikh Hasina formally launched the much hyped Industrial Police on Sunday. Hasina said the special police force was launched to maintain law and order in the industries to attract more foreign investments. She was addressing the inaugural ceremony of the new police force at Bangbandhu International Conference Centre. "The country's law and order depends on the police. They have a lot of responsibilities as the number of police personnel is inadequate compared to the increasing number of people." 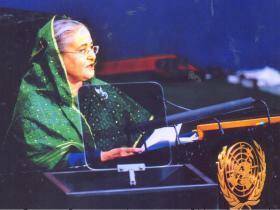 The special force, first of its kind in Bangladesh, was created to suppress sudden indiscipline, Hasina added. UNI, Port Blair, 31 October : The newly-elected members of north and middle Andaman Zilla Parishad is feeling the heat of fund crunch and have now urged the administration to sanction additional funds for the development of remote villages of North and Middle Andaman. 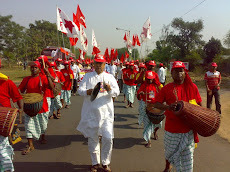 According to highly-placed sources, the last Zilla Parishad had overshot the sanctioned budget during the last five years term and awarded works worth nearly 33 crore to various contractors leaving negative fund balance for this Zilla Parishad. 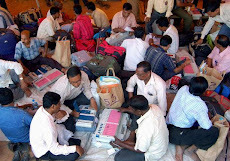 In the first meeting of the reconstituted Zilla Parishad of North and Middle Andaman, the Zilla Parishad members also urged the administration to sanction additional funds to the tune of Rs 33.00 crore to settle the outstanding bills in respect of works sanctioned by the erstwhile Zilla Parishad and also for carrying out the ongoing works being executed in North and Middle Andaman. 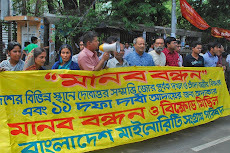 ''Without additional funds it would be difficult to clear the bills of many contractors who have completed various works as per the work orders given by last Zilla Parishad,'' Anil Mondal the Upo Adhyaksh told UNI here. 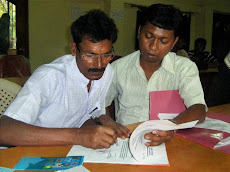 During the said meeting, Mr Mondal has urged the North and Middle Zilla Parishad to channelise funds and resources to develop the newly constituted Gram Panchayats of North and Middle Andaman i.e. 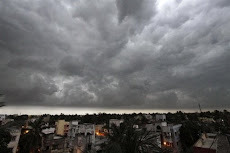 Paschimsagar and Gandhinagar. This is not the first time when Zilla Parishad in Andaman and Nicobar Islands has overshot the allocated funds while issuing work orders. Earlier, this kind of practice was noticed in South Andaman Zilla Parishad, which was followed by various anti-corruption and CBI inquiries. 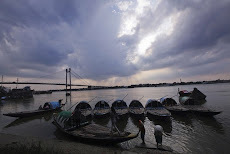 PTI, Kolkata, 30 October : At least 18 people drowned and many went missing when an overcrowded trawler capsized in the Muriganga river near Sagar Islands in South 24 Parganas district today. The authorities fear the toll could rise. Three trawlers were sailing to Kakdwip in South 24 Parganas from Hijli Sarif in East Midnapore district when one of them capsized. 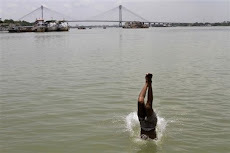 "Sixteen bodies have been found and more than 50 persons rescued while many of the bodies were swept away by swift current in the river," Additional Director General of Police (Law and Order) Surojit Kar Purokayanstha told PTI. 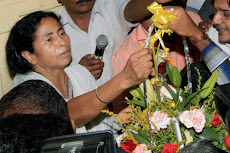 Andal, 30 October : Indian Railway Minister Mamata Banerjee today announced a slew of projects, including expansion of Chittaranjan Locomotive Works, for Burdwan district. The Railways would invest Rs 92.5 crore in CLW in the first phase to ramp up its production capacity to 200 engines annually from the current 150 and the expansion work would be over by 2012, Banerjee said at a programme held at a wagon manufacturing unit in Kulti. In the second phase, Rs 134 crore would be invested to boost its capacity to 275 engines, she said, adding that the Railways had placed an order of Rs 195 crore with the company. UNB, Narayanganj, 30 October : Jamaat-BNP, the defeated forces of liberation war, will not be allowed to exist in Bangabandhu’s Sonar Bangla, said ruling Awami League front ranking leader Syeda Sajeda Chowdhury MP here today. 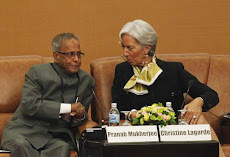 PTI, Nabagram, Kolkata, 30 October : Indian Finance Minister Pranab Mukherjee today ruled out withdrawl of security forces from Maoist-hit areas in West Bengal as demanded by his cabinet colleague and Railway Minister Mamata Banerjee. 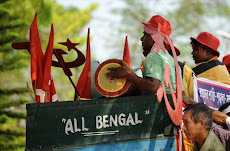 “The joint forces will operate in Maoist-hit areas of West Bengal and other Maoist-hit states as long as they continue to violate law and order and keep challenging the government,” Mr. Mukherjee told reporters here in Murshidabad district at the end of a National Integration camp. 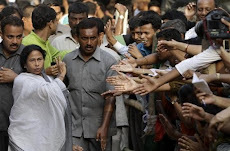 The Trinamool Congress chief has been demanding withdrawal of joint forces from Maoist-hit areas in West Bengal alleging that CPI(M) cadre were taking their help in committing atrocities on the people. 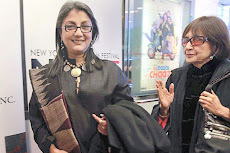 PTI, Shillong, 30 October : After holding the nation spellbound with western chorals and Hindi classics on a TV reality show, the Shillong Chamber Choir will now have a very special audience - US President Barack Obama. The young group of singers from Shillong, dubbed as the 'rock capital of India', is scheduled to perform for the US President and his wife Michelle at President Pratibha Patil's presidential banquet at the Rashtrapati Bhavan on 8 November. UNB, Rajshahi, 30 October : Trial proceedings of 93 alleged mutineers of Rajshahi 37 Rifles Battalion will begin in a special court set up at the battalion headquarters on 13 November. 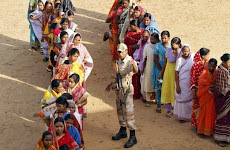 The accused 93 jawans were arrested a day after filing of a treason case against them on 17 May last year for their alleged involvement in 25-26 Feb mutiny. The three-member court, led by BDR Kushtia zone Sector Commandar Col Nazrul Islam. IANS, Dhaka, 30 October : A 'volatile' supply from India and a bad crop this year may lead to an increase in potato prices in Bangladesh ahead of the season approaching Bakri Eid, a media report said. Prospects of a bad crop have sent the prices soaring by 50 percent in the last one week alone. But in this alarming situation, the main beneficiaries, at the cost of the public, are the cold storage owners and hoarders, the New Age newspaper said Saturday. 'Volatile' supply from neighbouring India has added to the uncertainty and allowed free play to cold storage owners and hoarders. 'The situation has not reached that level that there is no potato, but cashing in on fears of poor supply in the next few weeks, cold storage owners and hoarders are making windfall profits,' a wholesaler in Dhaka's Karwan Bazar said. Early harvested potatoes usually start arriving in the market at the beginning of November and that forces release of more stocks from hoarders and eventually push down the price. Market observers said a good harvest last year pushed down potato price even as cold storages had built up huge stocks. 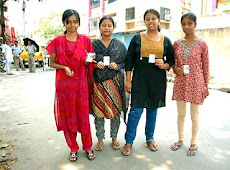 PTI, Kolkata, 29 October : Indian archers were hoping to strike three medals in the Asian Games, but were getting a bit tired by the plethora of felicitations after their success at the Commonwealth Games. While Rahul Banerjee, who got an individual gold and team bronze in Delhi 2010, told PTI that archers were aiming at three medals at Guangzhou event, which would be tough in the presence of world champions Korea. Cold and windy weather condition will also be a challenge for the Indians, the trio of Dola Banerjee, Rahul and Deepika Kumari had a common opinion. PTI, Lucknow, 29 October : International umpire Arun Kumar Banerjee was today named as the manager of the Indian table tennis contingent for the upcoming Asian Games to be held from November 12-27 in Guangzhou, China. Banerjee, also the Secretary of the Uttar Pradesh Table Tennis Association (UPTTA), was Deputy Competition Manager for the ping pong game in Delhi Commonwealth Games. The Table Tennis competition in the Asian Games will be held between 13 and 20 November. 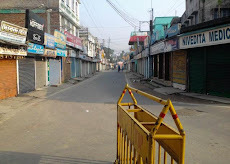 Shillong, 29 October : The Meghalaya government decided to adjourn the first ever municipal elections in the state slated for today due to unconducive law and order situation following overnight anti-poll protests in different parts of the state. "There were a number of disturbances since last night. The administration, after assessing the ground situation, considered that there was a strong possibility of disruption of the polling process as well as serious implication of law and order. 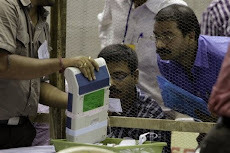 So the government though it prudent to adjourn the elections," Chief Secretary W M S Pariat said. 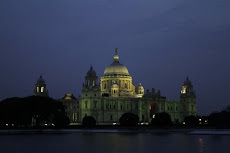 Kolkata, 28 October : The West Bengal government has decided to spend over Rs 120 crore to uplift tourist destinations in the state and would invest another Rs 10 crore in publicity and promotion to create a brand identity. "The government has started making the investment since last year to develop various destinations," Managing Director, WB Tourism Development Corporation, T V N Rao said during a seminar on tourism development here today. Apart from this, the government has decided to spend more in creating a unique brand identity for the state. As against the last year's Rs 6 crore, this year Rs 10 crore would be spent to make West Bengal the most preferred tourist destination, he said. Dhaka, 28 October : Taking a rigid and firm stand Biman Bangladesh chief today warned the abstaining pilots of dealing with iron hand in maintaining discipline in the organization. The stern warning came on the heels of 48-hour ultimatum issued Wednesday to the pilots to join the work or face disciplinary action. The ultimatum ends at 11am(BDST) Saturday. Some 46 aggrieved pilots of the national flag carrier Bangladesh Biman Airlines applied for sick leave at a time landing the authority in a difficult situation in maintaining the flying schedule. “The stance of Biman management is clear. Biman will run on its own rules. Any evil- attempt to destroy its rules and regulations will be dealt with iron hand,” Managing Director of Biman Bangladesh Mohammad Zakiul Islam told a press conference at iis office today. 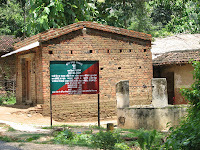 PTI, Purulia, Kolkata, 28 October : Abducted intelligence officer Partha Biswas' wife today appealed to the Maoists to release her husband as he went to Purulia, from where he was allegedly taken away by the ultras, to work for an NGO. 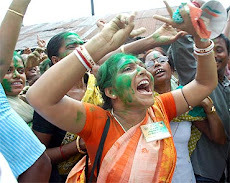 "I appeal to Maoists through the media to verify the background of my husband and release him," Biswas's wife Barnali told reporters at the Purulia superintendent of police's office. 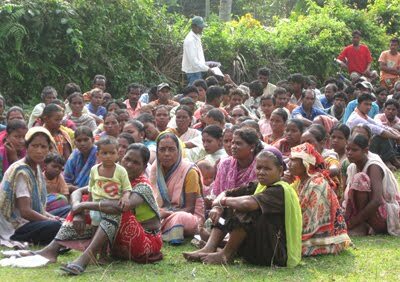 She pleaded that though her husband was an intelligence branch inspector, he had not gone to Purulia to gather information about the Maoists, but to work for tribal villagers which he had been doing for a long time. Dhaka, 28 October : Bangladesh Police, in a raid in an apartment Thursday, arrested 20 leaders and activists including a former lawmaker in city’s Mirpur area along with six hand-made bombs, one kg of explosive substance and huge number of Jihadi books. 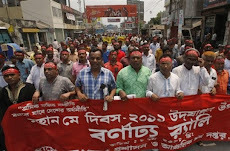 Police said acting on a tip off, they raided the house of Mohor Ali at Kalwalapara in Mirpur-1 at about 11:30am(BDST) and arrested the 20 Jamaat leaders and activists including assistant secretary general of Jamaat and also former Jamaat MP of Godagari in Rajshahi Professor Mujibur Rahman and Khulna city Nayeb-e-Ameer Shafiqul Alam. UNI, Mumbai, 28 October : The national carrier, Air India has come up with three super saver schemes for North East and Port Blair to fulfill its mission of promoting travel and tourism to far flung and lesser visited destinations. 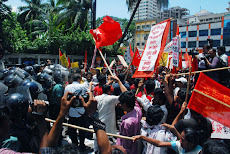 'The schemes launched on 23 October, 2010 shall be valid for sale till 31 March, 2011 and the validity of the tickets for travel shall be 3 months from the date of issue, a release issued here today said. ''First scheme is of North East super savers with four coupon tickets for sale and travel within the states of Assam, Arunachal Pradesh, Meghalaya, Tripura, Manipur, Mizoram and Nagaland at a total cost of Rs 10716/- all-inclusive,''the release added. Another scheme is of Islanders' super savers for Port Blair. 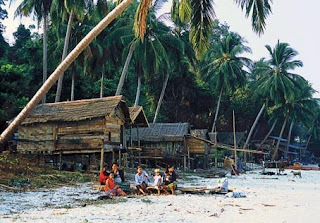 A special four coupon ticket is for sale in Andaman and Nicobar islands with travel originating from Port Blair on the first coupon. Subsequent coupons can be used for travel between Port Blair and Chennai/Kolkata. The total cost of the ticket will be Rs 26000/-all inclusive, the release further added. 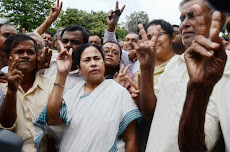 Kolkata, 28 October : West Bengal government today assured that it will adhere to the Supreme Court directive and will soon compensate those who were injured in police firing during the Nandigram violence in March 2007. "There are total 159 injured and a list has been prepared, and is lying with the finance department for approval. 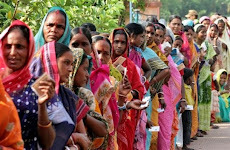 Once it is cleared the government will make the payment as soon as possible," state Chief Secretary Samar Ghosh told reporters here today. Dhaka, 28 October : A bomb was hurled Thursday night at the gate of private TV channel Desh TV and Bhorer Kagoj building near Mouchak market Thursday night. Witnesses said the bomb was hurled at about 9-40pm(BDST) The glass-door on the ground floor of the building was broken under the impact of the bomb. 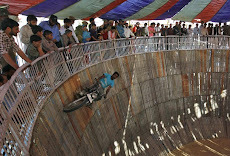 None was reportedly injured. IANS, Guwahati, 28 October : An endangered one-horned rhino was killed and its horn gouged out by poacher gangs at the famed Kaziranga National Park in Assam, officials said Thursday. A wildlife official said the latest killing was reported from inside the sanctuary, 220 km east of Assam's main city of Guwahati. "The rhino was killed using automatic weapons and the horn gouged out," Assam Forest Minister Rockybul Hussain said. The minister visited the park on receiving the report of the adult female rhino being slaughtered. "A massive anti-poaching operation was launched," the minister said. As per the 2009 census report, some 2,048 of the world's estimated 3,000 one-horned rhinos lumber around the swamps and grasslands of Kaziranga, their concentration here making the giant mammals a favourite target of poachers. Eleven of the beasts were killed so far this year, while 18 rhinos were killed in 2008 and 14 in 2009. 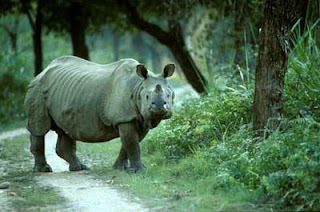 Between 1980 and 1997, some 550 rhinos were killed by poachers in the wilds of Kaziranga, the highest being 48 in 1992. Poachers kill rhinos for their horns, which many believe contain aphrodisiac qualities, besides being used as medicines for curing fever, stomach ailments and other diseases in parts of Asia. 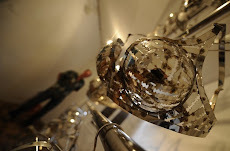 Rhino horns are also much fancied by buyers from the Middle East who turn them into handles of ornamental daggers, while elephant ivory tusks are primarily used for making ornaments and decorative items. 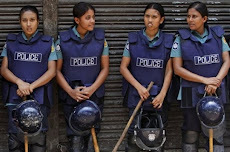 Dhaka, 28 October : The much talked about Industrial Police, a specialized unit of law enforcers, will formally begin its function from Sunday to maintain order in the country's four major industrial zones. The Industrial police have been formed to make sure that outsiders can not provoke violence or create chaos in four industrial zones-Dhaka, Gazipur, Narayanganj and Chittagong. Prime Minister Sheikh Hasina will formally inaugurate the force at Bangabandhu International Conference Centre on Sunday. 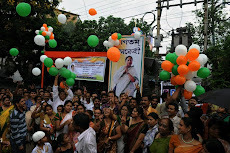 Kolkata, 28 October : With the West Bengal assembly polls around six months away, Trinamool Congress chief and Indian Railway Minister Mamata Banerjee will tour three western districts to kickstart a railway project. 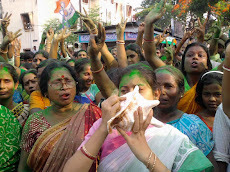 Banerjee will visit Burdwan, Purulia and Bankura Saturday and Sunday and hold public rallies, said party sources. 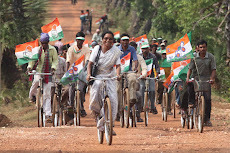 Druing her trip, she will inaugurate a railway wagon factory at Andal in Burdwan, said a Trinamool Congress leader. 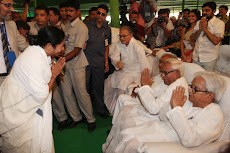 He said Banerjee will also sign an MoU with the National Thermal Power Corp for a power plant at Adra in Purulia. Agartala, 28 October : The four-day winter session of Tripura Legislative Assembly will begin from tomorrow, officials said here today. The Business Advisory Committee (BAC) has finalised the tabling of Tripura Sate Rifles Act,third amendment bill, and also State Medical Council bill to facilitate the practice of successful MBBS students- who would get states registration, officials stated. 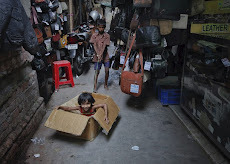 UNB, Dhaka, 28 October : Bangladesh will become an attractive destination of ‘Social Business’ in near future setting an example for rest of the world, as it has totally different objectives with special focus on solving society’s most pressing problems, instead of making money. This was stated by Nobel Laureate Prof Muhammad Yunus, the founder of Grameen Bank and innovator of social business, at the inaugural session of a conference titled ‘Global Social Responsibility’ held at Hotel Radisson in the city on Thursday. 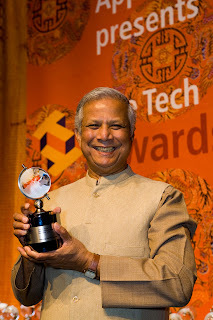 He said that social business is a new concept, completely different from conventional profit-making business. It has objectives to solve social problems in sectors like healthcare, education, affordable housing, clean technology and finance through ensuring access of rural people. 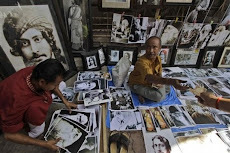 “Social business needs creativity. 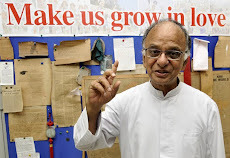 Some 80 percent work is done if anybody has great idea…anybody can do it and each one has capacity,” he said adding that the social businesses will become a substantial part of the business world. 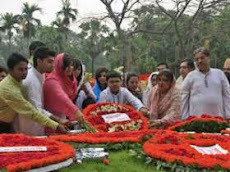 UNB, Dhaka, 27 October : Prime Minister Sheikh Hasina Wednesday renewed her government’s firm stance to hold the trial of war criminals who committed crimes against humanity during the country’s war of liberation in 1971. “The process of the trial already began. Inshallah, we will complete the trial on the soil of Bangladesh,” she said addressing the installation and oath taking ceremony of Bangladesh Freedom Fighters’ Central Command Council- District and Upazila Command at Bangladesh Army Stadium. 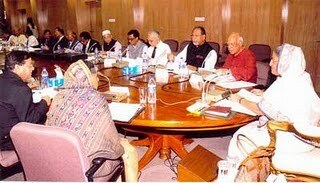 Hasina said the trial of the killers of four national leaders will also take place on the soil of Bangladesh. 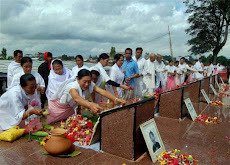 The Prime Minister requested the freedom fighters to extend all out cooperation to the ongoing trial of war criminals for upholding the spirit of the liberation war. Agartala, 27 October : Tripura Chief Minister Manik Sarkar today appealed to the insurgents to shun the path of violence and join hands in the development of the state. "Thousands of tribal youths who joined insurgency after being misguided by some quarters in the past few years have came back home. 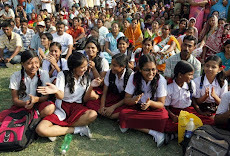 The state government provided them with economic packages for rehabilitation," Sarkar said while addressing a gathering at Tamakari, a tribal hamlet in West Tripura district, about 50 km from here. 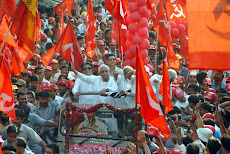 PTI, Kolkata, 27 October : The Left Front today criticised the Trinamool Congress for its for alleged involvement in clashes in Burdwan University campus, saying it was reminiscent of the anarchy in the 70s in varsities and colleges under Congress regime. 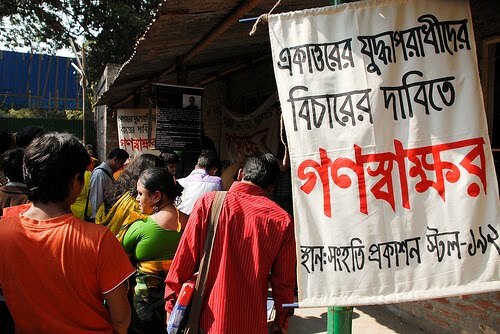 "The Trinamool Congress ransack of the campus yesterday is reminiscent of the 70s when there were murders there and examinations stalled in the Calcutta University and the then vice-chancellor of Jadavpur University killed," Left Front chairman Biman Basu told a rally of Sishu Siksha Kendra and Madhyamik Siksha Kendra teachers. PTI, New Delhi, 27 October : Indian Railway Minister Mamata Banerjee today said efforts were on to make railway operations accident-free by introducing new technology which is expected to be operational in 6 months to one year. New Delhi, 27 October : Indian Railways will come out with a 'smart card' for rail users shortly. "We are negotiating with SBI for issuing smart card for rail passengers," said Railway Minister Mamata Banerjee today at the economic editors' conference here. It will be a composite card which can be utilised in metro, suburban and passenger trains. The card can be utilised for e-ticketing also. 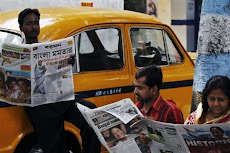 Dhaka, 27 October : Bangladesh Press Council on Wednesday recommended an entrance examination for those who want to take up journalism as profession. Press Council came up with the recommendation in a verdict of a case against a weekly. In its verdict, the Press Council said the time has come to stop taking up journalism as a profession without having certificates through an examination like advocates, doctors and dentists. It observed that the code of conduct set by the Press Council for the journalists is not enough in this regard. 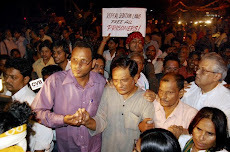 PTI, New Delhi, 27 October : Indian Supreme Court today criticised the West Bengal Government for dilly-dallying payment of compensation to those injured in the Nandigram firing incident in March 2007 and directed it to comply with its order. 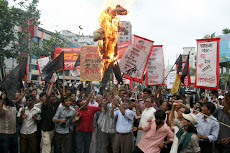 The apex court made it clear that it had only stayed the Calcutta High Court order directing the CBI to initiate the criminal proceedings against the police officials allegedly responsible for the firing in which 14 persons were killed. “Despite the order directing the State to pay compensation as regard to those injured, the State has not paid compensation,” a Bench comprising Justices R V Raveendran and A K Patnaik said. 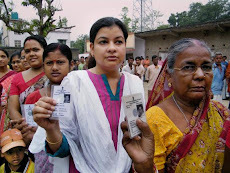 Kolkata, 27 October : The final voters' list in West Bengal will be published on January five, about five months ahead of the Assembly elections scheduled in May. 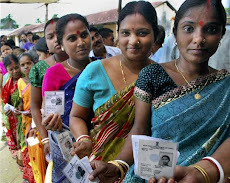 The draft electoral roll would be published on 30 October and the amendment process would continue till 23 November, state's chief electoral officer Sunil Gupta told reporters here today after an all-party meeting. 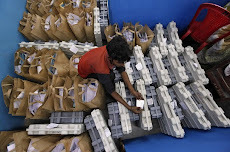 Seeking the cooperation of all political parties in the preparation for the final electoral roll, the CEO said full efforts were being made to publish an error-free final list. 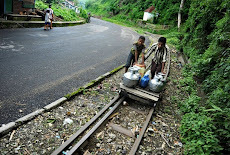 Guwahati, 27 October : Three bogies and a trolley of Barak Valley Express were derailed after militants blew up a portion of rail track in a powerful blast in central Assam's North Cachar Hills district, where ultras have called for an indefinite bandh. There was no casualty in the incident, Northeast Frontier Railway headquarters spokesman S Hajong said in Guwahati. The explosion on the rail tracks occurred around 12.30pm, causing the 5693 down train, proceeding from Lumding to Silchar in Cachar district, to jump the rails in a remote place between Lower Haflong and Bagatar railway station, Hajong said. UNB, Chittagong, 27 October : Bangladesh Commerce Minister Faruk Khan said here on Wednesday that transit facilities to the neighboring countries would have to be given to ensure proper utilization of Chittagong seaport and accelerated growth of country’s economy. 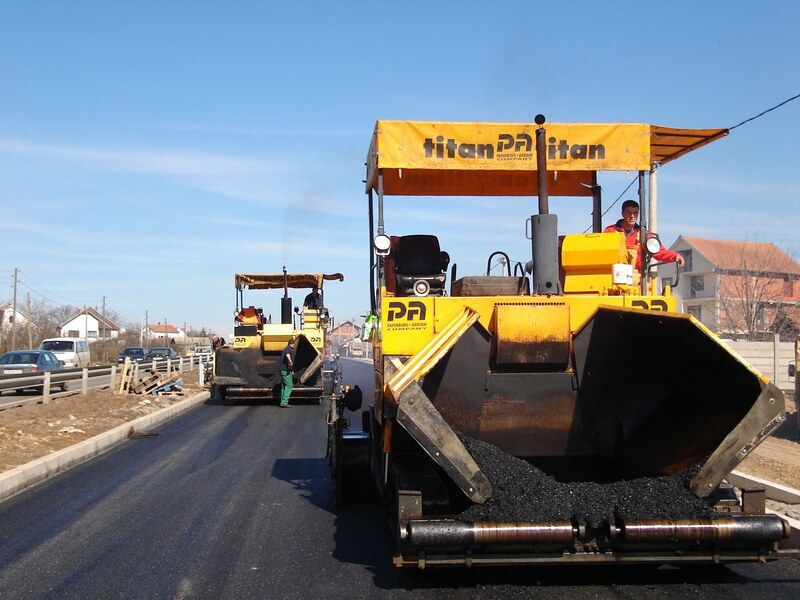 “The government is working on the infrastructure development of roads, railway and river-ways. Transit facilities will have to be given to the neighboring countries for proper utilization of Chittagong port and country’s economic growth,” he said at a seminar in the port city. Suchinta Foundation, a social organization, arranged the seminar titled ‘Regional Cooperation: Transit Deal and Its Impact on Bangladesh’s Economy’ at the Chittagong Press Club auditorium with its executive director MA Arafat in the chair. Kolkata, 27 October : Bangladesh today approached the West Bengal government for expertise to meet the growing demand of housing projects there. "Experience of companies and officials here will help us overcome the growing housing problem in Bangladesh," visiting Bangladesh Housing and Public Works minister Abdul Mannan Khan told reporters after a meeting with state Urban Development Minister Asok Bhattacharya. 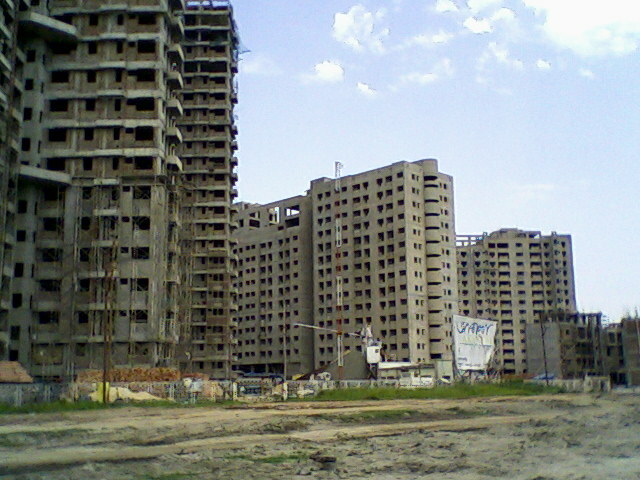 "Since we don't have sufficient land for construction, we have to go for vertical expansion. We need expertise in the area," Khan, who was heading an eight-member delegation, said. He said they would meet ministers, agencies under the housing department and private companies developing housing projects in the state. The delegation would also meet officials of the West Bengal Housing Infrastructure Development Company (WBHIDCO) to share their experience in developing New Town in Rajarhat area, Khan said. Dhaka, 27 October : Industries Minister Dilip Barua today dismissed speculation of fertilizer scarcity in the ensuing boro season and assured the farmers of reaching them the essential input for which Tk 5,000 crore subsidy provided on count of import. Allaying the fears of short supply of fertilizer Barua told a press conference in his office that government has arranged adequate stock in meeting the farmers demand through proper management. 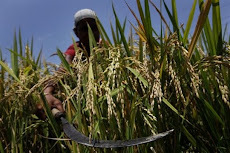 “We’ve taken precautionary measures…farmers won’t face fertilizer crisis in the peak season as we’ve all arrangements to meet fertilizer demand,” said the Minister. 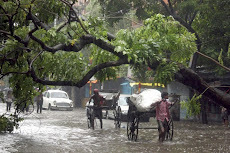 IANS, Guwahati, 27 October : At least 16 people have died and up to 150 affected in a deadly cholera outbreak in Assam, with most casualties reported from tea garden areas, officials said Wednesday. "Most casualties were reported from tea garden areas. 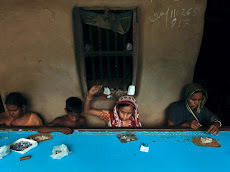 Prima facie it appears the victims were down with cholera due to poor hygiene conditions," said Anup Bhattacharyya, a senior health official. 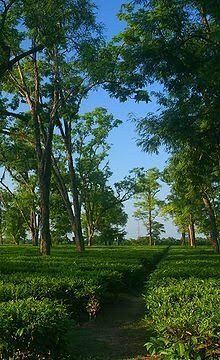 The victims were mostly from six tea gardens in Biswanath Chariali area in Sonitpur district, about 230 km north of Assam's main city of Guwahati. 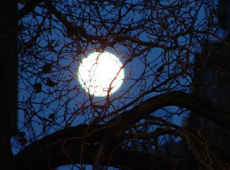 The deaths have been reported since late Tuesday, although most victims were down with the disease for the past week. "The problem is the victims were brought to hospitals very late, once their condition deteriorated. They were either ignoring the disease or resorting to self-medication, with some even relying on quacks," said a doctor at Biswanath Chariali Civil Hospital. Although no definitive cause of the cholera outbreak has been determined, doctors said the epidemic was a result of poor sanitation, unhygienic living conditions and contaminated drinking sources. A team of doctors and paramedics have been rushed to the area to deal with the disease. 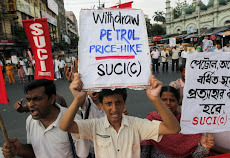 PTI, New Delhi, 26 October : Amid expectations that RBI may raise short-term rates to contain inflation, the government today admitted that it is difficult to bring down the rate of price rise to an ideal level of 4-5%, while the central bank said it is a challenge to keep it under check. "I will try to bring it (inflation) down through whatever mechanism we have...it would be ideal if we have 4-5%, but may be difficult. 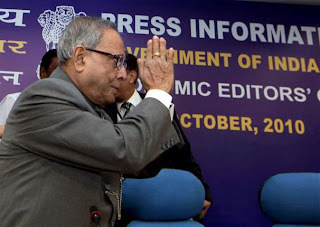 But I do feel that annualised inflation rate would be around six per cent," Finance Minister Pranab Mukherjee said in Economic Editors'Conference. UNB, Dhaka, 26 October : New Swedish Ambassador to Bangladesh Ms. Ann Margareta (Anneli) Tuesday said Swedish investors would like to invest in Bangladesh with advanced technology in renewable energy, especially in solar power. During a meeting with Foreign Minister Dr Dipu Moni at the Foreign Ministry, the Ambassador also observed that there is huge potential for increasing Swedish import from Bangladesh. 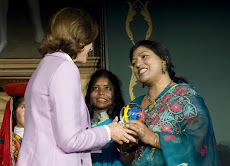 Dr Dipu Moni sought Swedish cooperation and investment in the shipbuilding, ship recycling and agro-chemical industries sectors. Margaretta also hinted more Swedish assistance in the education sector in the form of scholarship and admission opportunities. UNB, Dhaka, 26 October : The Executive Committee of the National Economic Council (ECNEC) Tuesday approved eight projects at a cost of Tk 999 crore including an irrigation project in the Barendra area to bring some 60,000 hectares of land under irrigation. ECNEC chairperson and Prime Minister Sheikh Hasina presided over the meeting at the NEC conference room in city’s Sher-e-Bangla Nagar area. The Panchagarh, Thakurgaon, Dinajpur and Joypurhat integrated area development project will be implemented at a cost of Tk 271 crore. Barendra Multipurpose Development Authority (BMDA) under the Agriculture Ministry will implement the project to be funded entirely from GoB funds. Under the Project, some 1200 deep tube wells will be installed, apart from re-excavating 100 meter canal and 50 ponds. Besides, some 25 water merged ware will be constructed in addition to sowing some 2 lakh saplings in the project area including medicinal. 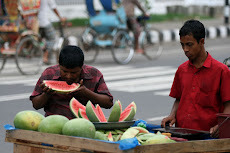 The project will be implemented in 28 upazilas of four districts. Sources said that the project area covers some 6.16 lakh irrigable land where some 4.86 lakh hectares of land is currently under irrigation facility. The project has been undertaken to bring the rest of the land under irrigation facility. 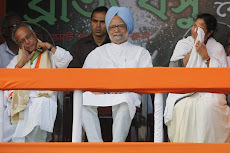 Agartala, 26 October : The opposition Congress has demanded a judicial inquiry into the custodial death of a person accused of theft and snatching in Bishramganj police station in West Tripura. Congress leaders alleged that Hanif Mia(25) died due to torture in police custody but police were trying to pass it off as suicide. 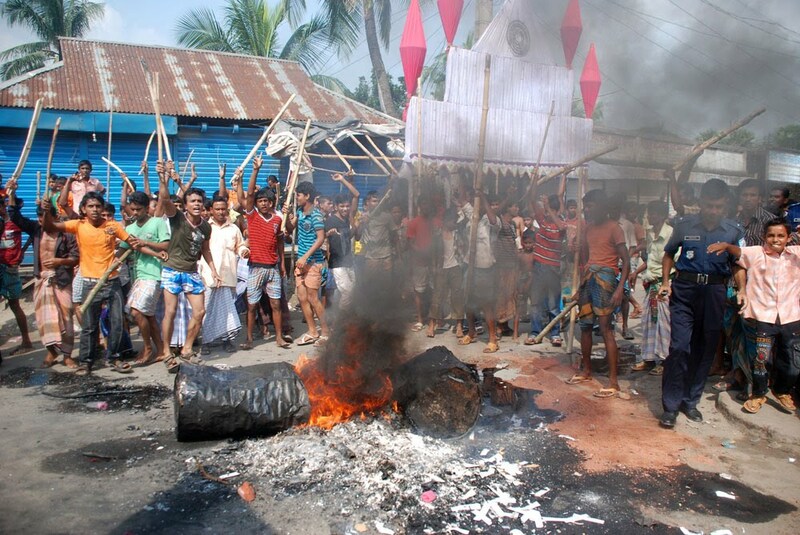 The party had blockade the Agartala-Sabroom highway yesterday in protest against the death. 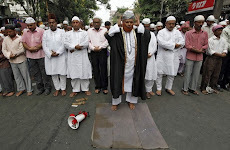 Some minority organisations had also supported the demand and launched an agitation for suspension of the Officer-In-Charge of the police station and sentry. The police, however, claimed that after initial investigation the duty officer was suspended and an inquiry started. 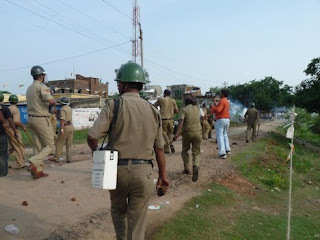 Burdwan, 26 October : Burdwan town was today rocked by violent clashes between Trinamool Congress and CPI-M supporters over alleged illegal recruitment in the Burdwan University. 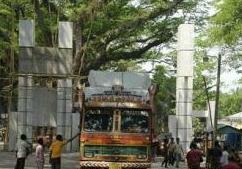 The clashes were triggered when alleged CPI(M) supporters from outside attacked university employees, with allegiance to the Trinamool Congress, holding a protest-demonstration at the gate of the university, witnesses said. Dhubri, 26 October : Six girls from Dhubri who were sold off to brothels in Mumbai a few months ago were rescued and brought back to the district by police last night after they sniffed out the trafficking racket based on a father’s complaint about his missing daughter. The hunt began after Hanif Ali lodged an FIR at Kharuabandha police outpost when his son-in-law returned from Mumbai without his daughter. 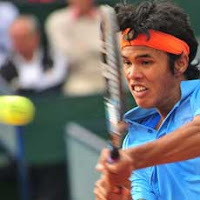 PTI, New Delhi, 25 October : Rising singles star, Tripura boy Somdev Devvarman today gained two positions to career best 94 in the latest ATP ranking chart. 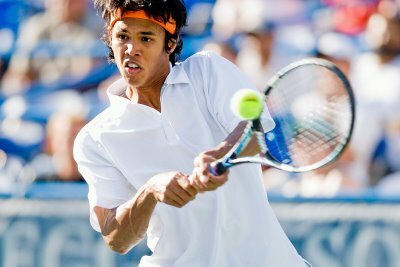 Somdev, who now has 568 points, failed to make the main draw of the ATP 250 event in Austria after losing the second round of the qualifiers. 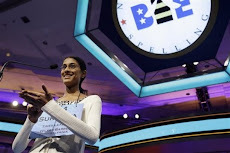 In the WTA list, Sania Mirza gained a place to 166 in the singles chart with 356 points while she jumped three positions in the doubles to 64 with 1238 points. Leander Paes (5), Mahesh Bhupathi (14) and Rohan Bopanna (16) remained static in the doubles chart. 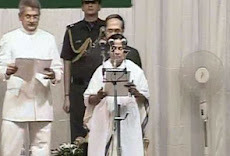 Kolkata, 25 October : West Bengal Assembly Speaker Hasim Abdul Halim, who was admitted to a city nursing home after he complained of chest pain, was taken off the ventilator today as his health is improving gradually. 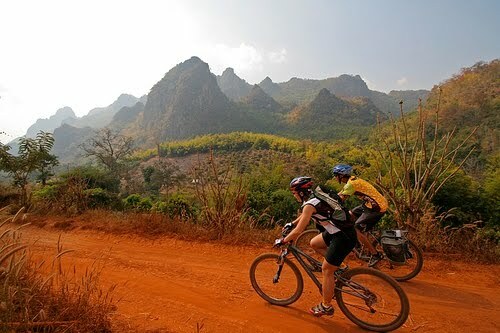 "At present, his condition is stable with gradual improvement. He has been weaned off the ventilator and is breathing on his own," a statement from the nursing home said. It said that Halim had mild fever for which he was being given antibiotics. 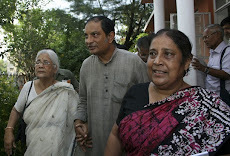 The Speaker, who is being advised soft and liquid diet, will remain at the Nursing Home CCU for sometime for close monitoring, the statement said. 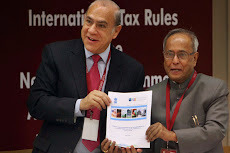 Anisur Rahman, Dhaka, 25 October : Bangladesh is likely to launch a formal protest against a population report launched by the UN Population Fund (UNFPA) calling it an "unauthorized meddling", officials said here today. "We are set to hold a meeting later today on the UNFPA report, which has been launched apparently without valid reference just months ahead of the launching of our National Census in March 2011", a senior planning ministry official said.He said Finance Minister AMA Muhith, who yesterday termed the UNFPA''s report as "unauthorised meddling", called the inter-ministerial meeting, which is expected to take a decision for a formal protest. 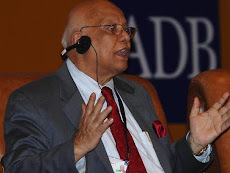 "They (UNFPA) did not consult with the government and it was done in a peculiar way," Muhith told a seminar adding that the UN agency did it beyond their authority. He also suspected some "evil quarters" were behind the report. "I have no knowledge about the UNFPA claim and I was not consulted before revealing such a report on Bangladesh," he earlier told the state run BSS news agency. UNFPA on Thursday in its "State of the World Population 2010" report revealed that the population of Bangladesh is now 164.4 million, with a growth rate of 1.4% per thousand. 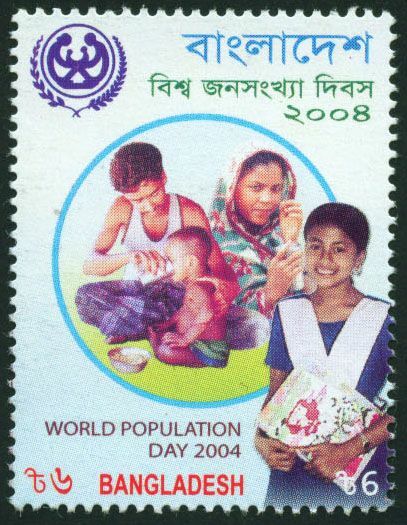 The UNFPA report came ahead of Bangladesh''s national population and household census scheduled for March 2011 while the last national population census was conducted in 2001. 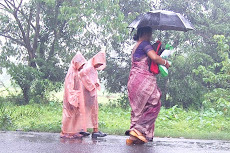 The UNFPA report said, Bangladesh''s population is increasing at a rate of 1.4 per cent per year and predicted it to be 222.5 million by 2050. 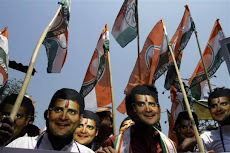 35 CPI(M) cadres join Congress in Tripura's Dhalai dist ! 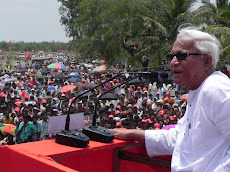 PTI, Agartala, 25 October : Thirty-five cadres of the ruling CPI(M) have joined Congress in Kamalpur subdivision of Dhalai district, party sources said here today. 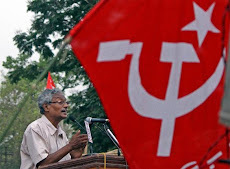 The CPI(M) cadres joined the opposition party after a meeting at the residence of a local Congress leader Yogesh Namashudra on Saturday, the sources said. District Congress President Manoj Kanti Deb, who was also present in the meeting, handed over party flags to the new-comers. 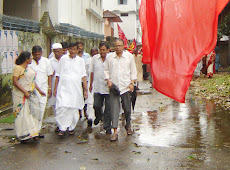 The CPI(M) workers had joined Congress in protest against corruption and nepotism of the local leaders of the ruling party, they said. 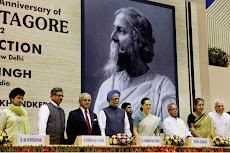 PTI, New Delhi, 25 October : Trinamool Congress chief Mamata Banerjee, a staunch opponent of the proposed Land Acquisition (Amendment) Bill, today failed to turn up at a meeting convened by Finance Minister Pranab Mukherjee to sort out differences on the issue. 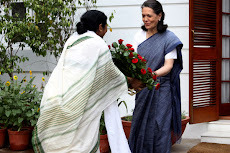 The meeting was aimed at hammering a way out for the passage of the Land Acquisition (Amendment) Bill, 2007, which has been opposed by the Railway Minister, who believes that the legislation would run counter to the stand she took over Nandigram and Singur issues in West Bengal. Shillong, 25 October : Five members of a family and a minor were killed today when a jeep they were travelling in plunged into a gorge at Barapani, about 15 km from, police said. They said that the jeep carrying about 20 people, coming from Shillong, lost control at a sharp curve and plunged into a 100-metre gorge, killing six passengers and injuring the rest. The injured passengers were admitted to the emergency ward of the Shillong civil hospital. 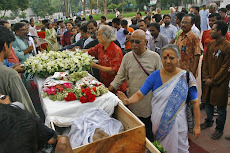 BSS, Dhaka, 25 October : Bangladesh Cabinet today approved a policy keeping provision for providing Taka one lakh compensation for the death of a person in attack by wild animal. The approval was given at the regular cabinet meeting held at Bangladesh Secretariat with Prime Minister Sheikh Hasina in the chair. 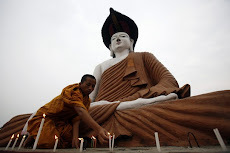 According to the approved policy titled "Compensation Policy- 2010 for Life and Property of the People Attacked by Wild Animals", Taka 50,000 would be provided for the persons who would be injured by the wild animals and Taka 25,000 for the damages of their properties by the animals. PTI, Guwahati, 25 October : An ‘area commander’ of the NDFB anti-talk faction was apprehended by the BSF in upper Assam’s Golaghat district. The man identified as Daibu Basumatary alias B. Dhnang was nabbed from Golaghat town yesterday, BSF sources said. An amount of Rs. 2360 and a mobile phone were seized from his possession, BSF sources today said. Basumatary had joined the NDFB in 2005 and was trained in handling of arms and explosives in Bangladesh in May 2008, the sources said. 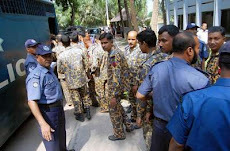 UNB, Khulna, 25 October : A special court, designed to deal with 2009 BDR mutiny, began trial proceedings against alleged mutineers of 23 rifles battalion on Monday morning. Complainant Subedar Major Jaalal Ahmmad placed complains against 59 accused before a panel of three-judges, led by Rajshahi BDR Sector Commander Col Ehia Azam Khan, after the Special Court-12 started. Prosecutor Lt Col Mohammad Mahfuzul Haq briefed media about the first day`s trial proceedings which ended at 1pm (BDST). PTI, Itanagar, 25 October : Shoot at sight orders were clamped on Namsai town after around 500 non-Arunachalese allegedly set ablaze some residences at New and Old Mohong villages, in Arunachal Pradesh's Lohit district, police said today. The administration had issued the orders to prevent further escalation of violence after at least seven houses were set on fire yesterday, Lohit deputy commissioner R K Sharma said. 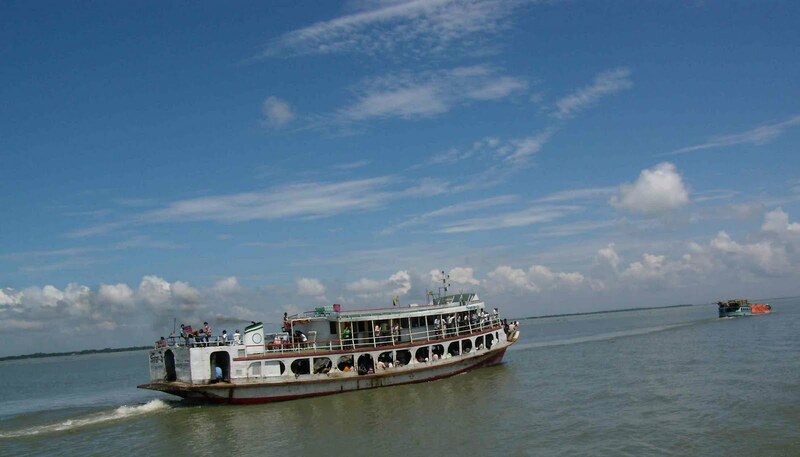 BSS, Chandpur, 25 October : The ferry service on Chandpur- Shariatpur route is being hampered due to siltation in the river Meghna. The siltation has taken an acute shape in Narashimpur of Chandpur and Haringhata of Shariatpur district. The ferry service on the route remained stranded for hours causing severe inconveniences to passengers. Md. Shahajahan, Manager, BIWTA said survey for dredging the river been completed. 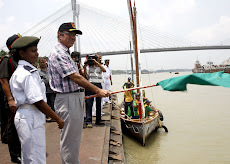 The dredging of the river will be started at a cost of Taka five crore soon. On completion of the dredging, the ferry service on the route will be improved, he said. 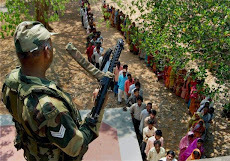 Purulia, Kolkata, 24 October : Security forces were conducting combing operations in several parts of Purulia district Sunday looking for an Intelligence Branch (IB) officer and an NGO worker who are believed to have been abducted by Maoists, police said. 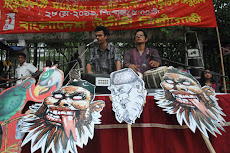 IB officer Partha Biswas and NGO worker Surojit Bose have been missing since Saturday. 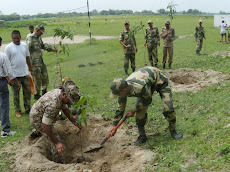 Purulia police superintendent Rajesh Yadav told Bengal Newz, joint forces along with the Combat Battalion for Resolute Action (COBRA) personnel were carrying out the search operations. PTI, Guwahati, 24 October : Assam Chief Minister Tarun Gogoi asked Union Minister for Civil Aviation Praful Patel to ensure flights from Lokopriyo Gopinath Bordoloi International Airport here to Jeddah for Haj pilgrims. 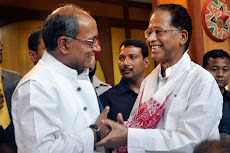 Gogoi, in a letter to Patel, said 700 pilgrims whose passports were cleared by the Central Haj Committee in Mumbai were still waiting for departure from Guwahati to Jeddah as flights were unavailable. The chief minister thanked the union minister for taking the initiative for the passage of 3100 pilgrims of the North East, particularly Assam, by providing special flights from LGBI to Jeddah. 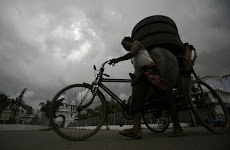 UNB, Dhaka, 24 October : Bangladesh government has opted for an extension of social safety net programmes, further defying the apprehension of budgetary pressure. Finance Minister AMA Muhith Sunday hinted at this while addressing the ‘State of the economy’ discussion at the Jatiya Press Club. Economic Reporter’s Forum (ERF) organized the programme with its President Monwar Hossain in the chair. “Commodity prices in the international market have increased a lot, and that is affecting the local market. 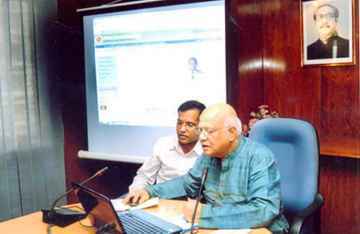 We are looking forward to extending the social safety net programmes to address this, and that may put pressure on the budget,” Muhith told the economic reporters. 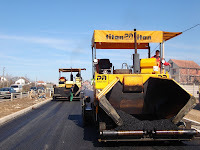 UNI, Agartala, 24 October : Authorities have expressed their concern over inadequate supply of bitumen owing to transportation bottlenecks that were hampering the road construction work in Tripura, Chief Engineer, PWD Sunil Bhowmik said here. 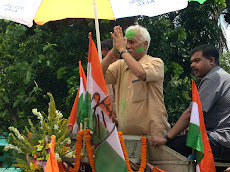 Bhowmik said Tripura Chief Minister Manik Sarkar had reviewed the progress of road development activities in the state yesterday and asked the officials to explore alternative options for transporting bitumen. 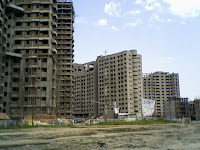 The state government is targeting to connect about 800 habitations having population less than 250 by next three years. 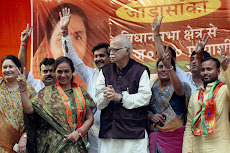 All the habitations with more than 250 people would be connected under Pradhan Mantri Gram Sadak Yojana (PMGSY) scheme. 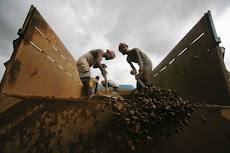 ''Despite our sincere efforts, the supply of raw materials, including bitumen, stone chips and quality bricks, has become inadequate thus hampering the road building works,'' Bhowmik added. UNB, Satkhira, 24 October : A special court here Sunday adjourned the trial proceedings of 105 suspected BDR mutineers of 41 rifles battalion till 6 February. 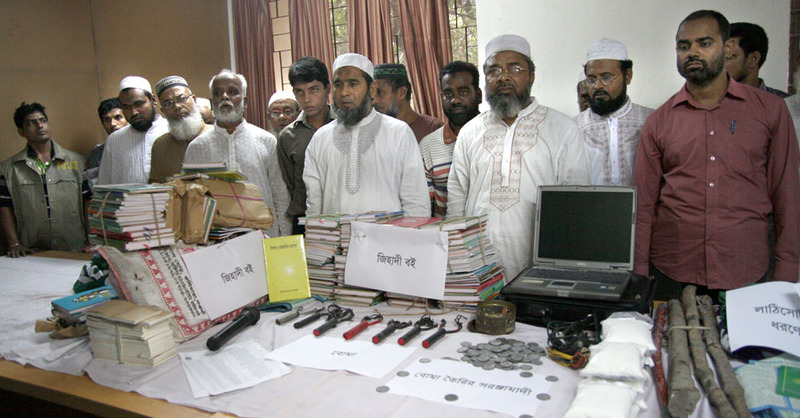 All the accused were produced before the three-member Special Court-1, headed by Rajshahi Sector Commander Lt Col Yahiya Azam. Prosecutor Lt Col Enayet Karim read out the allegations against the mutineers. After hearing, head of the judges’ panel Col Azam Khan declared the trial procedings adjourned till on 6 February ordering the prosecution to bring all the accused before it when the trial resumes. 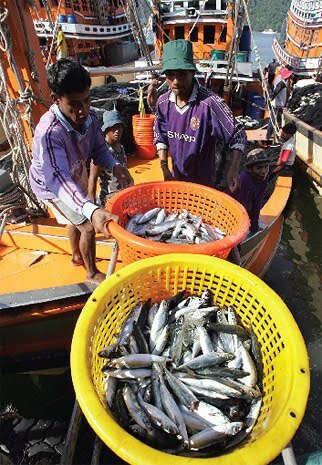 BSS, Gaibandha, 24 October : Bangladsh government has taken massive plan to boost fish production through best uses of water bodies of the northern districts under the project of 'Poverty reduction and livelihood security for the people of economically backward areas'. 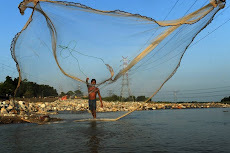 Department of Fisheries will implement the project in 23 districts, including six northern districts -Dinajpur, Nilphamari, Rangpur, Lalmonirhat, Kurigram and Gaibandha - under Rangpur division till 2013, official sources said. Under this project, development works will be carried out for the betterment of fishermen through creating working opportunities. The works include establishment of fish sanctuaries in open water bodies for stalking fingerlings and mother fishes, nets distribution to the fishermen, excavation and re-excavation of ponds and other water bodies, training for the fish cultivators and fishermen and formation of community base organization (CBO) and arrangement of tours for the members of CBOs. 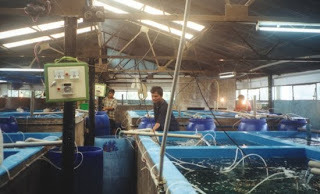 As part of the on going programmes, a day-long workshop on 'Role of fish sanctuaries and fingerlings stalking in enhancing fish production in open water bodies' was held at the conference room of district fisheries officer of Nilphamari on 18 October. Deputy Commissioner (DC) M. Zillur Rahman attended the workshop as the chief guest and project director (PD) Mohammad Nazrul Islam as the special guest. With district fisheries officer Shah Imam Jafar Sadeque in the chair, it was addressed, among others, by assistant director of the project M. Shafique Uddin, Jaldhaka Upazila fisheries officer Badruzzaman Manik and fisherman Aghur Nath Das. All fisheries officers of the district, fish cultivators and public representatives including the journalists took part in the workshop. 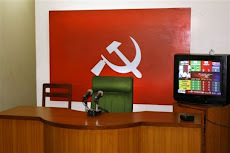 PTI, Kolkata, 23 October : Maoists shot dead two members of People's Committee Against Police Atrocities backed by it in West Midnapore district and kidnapped an Intelligence Branch Inspector and a NGO worker from Purulia district, police said. 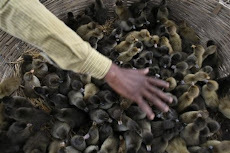 The bodies of PCPA members Biswanath Mahato and Pradip Mahato were found beside a pond at Nandalalpur in Jhargram, Additional Superintendent of Police (Operation) Mukesh Kumar said. "According to initial investigations, they were killed by Maoists," Kumar said. Top district police sources said the two were killed over differences with Maoists on division of money extorted from local businessmen. 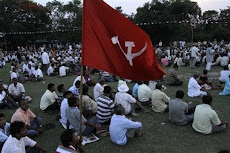 There were earlier instances of PCPA members being killed by Maoists over such issues, the sources said. 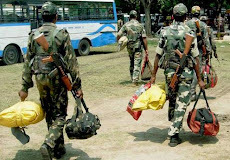 In Purulia district, the Maoists kidnapped an intelligence branch officer and a ngo worker from Ayodhya area, with the police saying that he was on leave and had gone there for work in connection with an ngo he ran there. 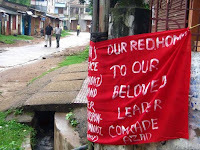 The IB inspector, Partha Biswas, and NGO worker Samarjit Basu were kidnapped four kilometres west of Barabhum at 11:58 pm last night by Maoists, Intelligence Branch sources said. 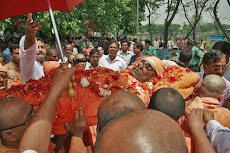 "Biswas was not on duty and on leave when he went to Purulia for a purely personal reason," Additional Director General of Police, Banibrata Basu said. 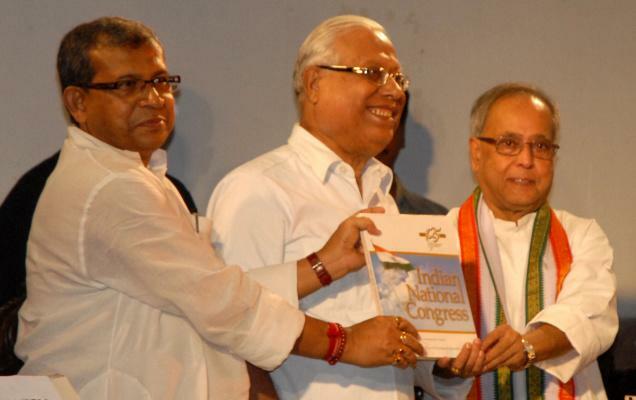 "We have information that he runs a NGO there and went to work for it," Basu said. 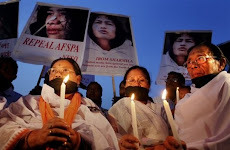 Director General of Police, Naparajita Mukherjee said, "I have heard about the incident and Maoists have sent feelers to the district police administration." UNB, Dhaka, 23 October : Prime Minister Sheikh Hasina urged the international community to strengthen its efforts to further democratize the UN for a greater voice of developing countries to realize these noble goals for the common good of humanity. 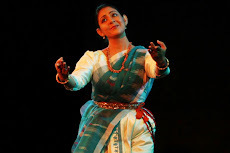 She made the call in a message issued on the occasion of United Nations Day, 2010 to be observed Sunday. Prime Minister Sheikh Hasina reaffirmed the unwavering commitment to the principles and purposes of the Charter of the United Nations as enunciated in the Constitution of Bangladesh. Sheikh Hasina said the United Nations Day visits us every year as an occasion to renew our faith in the collective capacity of humankind to create for ourselves a world free from fear and want. The United Nations, founded 65 years ago, continues to embody the hopes and aspirations of the peoples of the world to live in peace and dignity, in freedom and progress, she added. ANI, New Delhi, 23 October : India and Bangladesh here on Saturday signed a Memorandum of Understanding (MOU) for establishing Border Haats, a traditional commodity market, along the Meghalaya-Bangladesh border. Two agreements on procedures were signed to facilitate movement of trucks between the two countries and also for movement of trucks from Nepal to Bangladesh both upto Land Customs Stations, thus fulfilling important commitments made during the visit of Prime Minister Sheikh Hasina. Representing Indian side Joint Secretary of the Commerce Ministry Arvind Mehta signed the document whereas Dr Md. Ruhul Amin Sarker, joint secretary of the commerce ministry, signed the Border Haats agreement on behalf of Bangladesh. UNI, Siliguri, 23 October : Four tourists from Kolkata were killed and one was seriously injured when the car carrying them skidded off the road and fell into a gorge at Gedu, about 50 km away from Thimpu, in the neighbouring country Bhutan at midnight last night. Sub-Divisional Police Officer (Alipurduar) David Lepcha today said the incident occurred as a dense fog affected visibility and the driver lost control of the wheel. 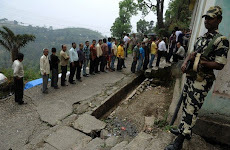 Three of the deceased were tourists from Kolkata, Lepcha said adding the driver of the vehicle was also killed. The injured was admitted to a local hospital where his condition was stated to be serious, he informed. 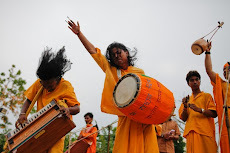 Siddharth Kelkar, Pune, 23 October : Pune-based Arnav Art Group will perform a play on some of the lesser known incidences in the life of Swatantryaveer Vinayak Damodar Savarkar when he was serving life sentence in the Andaman Cellular jail, on the premises of the same jail next month. The play, Avadhya, showcases the psychological battle of Savarkar with his loneliness in the jail. As Savarkar was brought to Andaman on 4 July, 1911, this is the 100th year of commencement of Savarkar's 13-year stint in the Andaman Cellular Jail. UNB, Narayanganj, 23 October : At least 24 people were injured in bullets out of 100 wounded in a series of clashes between villagers and law enforcers over acquisition 6,000 bigha lands by RAJUK at Kayetpara and Rupganj union today. Of the injured, 12 were rushed to Dhaka Medical College Hospital while others were admitted to local hospital and clinics. Gazi Gulam Dastagir MP of the ruling Awami League who visited the troubled area told UNB by phone that Army personnel opened the fire as the unruly villagers attacked their makeshift camp at Mashuri in Rupganj upazila. He squarely blamed the opposition for fanning up the situation in a bid to bring the villagers to a conflict with the Army. 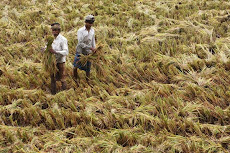 New Delhi, 23 October : India on Saturday said it will soon export five lakh tonne of rice and wheat to Bangladesh despite ban on outward shipments of the foodgrains. "India will be exporting three lakh tonne of parboiled rice and two lakh tonne of wheat to Bangladesh... PSUs (state trading firms) have been directed to do so expeditiously," Indian commerce minister Anand Sharma told reporters after meeting his Bangladeshi counterpart Muhammad Faruk Khan here. Sharma said the exports would happen "soon". The decision to export the rice and wheat was taken in August, an official said. 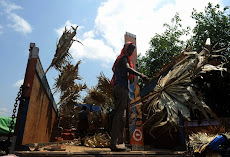 PTI, Balurghat, 23 October : Two workers were killed when a boiler burst at a rice mill in Gangarampur, under South Dinajpur district, police sources said today. Following yesterday's tragedy thousands of villagers were demonstrating before the mill compound to press for the demand of arrest of the mill owner and compensation to the bereaved family. 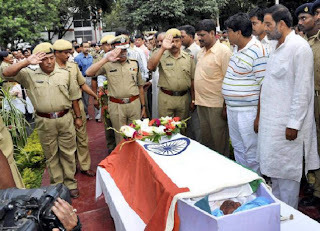 Reports said the two - Jhantu Tirkey and Birsa Dhanoa - were engaged in cleaning of the boiler when it suddenly exploded and both were blown to pieces. Kolkata, 23 October : The CPI(M) today slammed Railway Minister Mamata Banerjee for "systematically neglecting" the safety aspects of the railways. "The railways have become the biggest casualty due to her inept handling of the ministry. 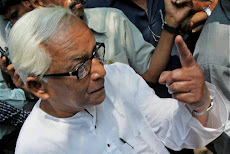 Starting from train accidents to repeated glitches in the underground Metro Rail, one can easily conclude that safety aspects have been systematically neglected by the Railway minister," CPI(M) Central Committee member Md Salim said. 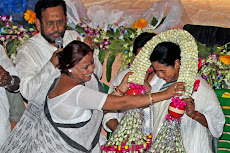 "She is misusing her ministry as a tool for her political ascent and destroying the railways with the aim of ascending to power in West Bengal," Salim told a TV channel here. UNB, Satkhira, 23 October : A special court, designed to deal with 2009 BDR mutiny, began trial proceedings against 105 alleged mutineers of 41 rifles battalion on Saturday morning. Complainant Subedar Major Md Abdus Sattar placed complain against 105 accused before the Special Court-1 at 10:10am (BDST). 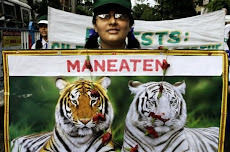 IANS, Kolkata, 23 October : A Royal Bengal tiger, which strayed away from a protected area and killed three goats, was trapped Saturday in West Bengal's Sunderbans area, a forest official said. 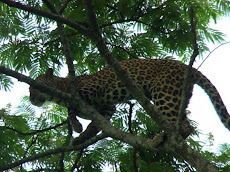 "The tiger, which strayed into Sahibghata and Jamespur area of South 24 Parganas district 19 October and killed three goats, was trapped in Sajnekhali," said field director of Sunderbans Tiger Reserve (STR) Subrat Mukherjee. He said it was an adult male tiger. Its health was good and it would be released Sunday in the core area of the STR. 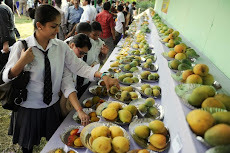 BSS, Rangpur, 23 October : Commercial farming of orange starts gaining ground following its excellent yields and market prices in recent years in the sub-Himalayan Panchagarh and Thakurgaon districts. 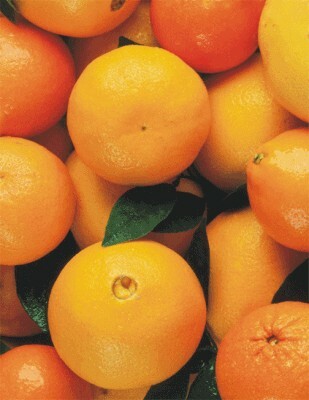 After achieving tremendous successes in recent years, the farmers are showing keen interests for expanded orange farming from this season to usher in a new era in boosting the agro-based economy of the region, officials and experts said. The farmers have been farming orange in their orchards and homesteads since 2006 and the initiative has been expanding faster for large-scale orange farming on commercial basis now. 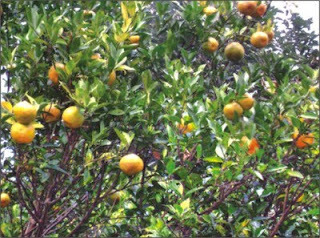 Nearly 100,000 orange trees are now growing in 100 orange orchards on 125 hectares land and homesteads in four upazilas of Panchagarh and more than 50,000 orange plants on 75 hectares land in three upazilas of adjoining Thakurgaon. The DAE has been expanding orange farming since the year 2006 and so far trained over 10,000 farmers on its cultivation that has brighter prospects to change the overall socio- economy of the region.